Galdi is one of the top European manufacturers of filling machines for milk, juices, yoghurt and beverages. Their history begins in the ’70s with Galdino Candiotto, the owner of a small dairy. Galdino, unhappy with current filling machines, develops his own bottling line. 40 years later, the company grew and entered into business agreements with giants like Tetra Pak and Elopak. 905 of their turnover comes from foreign countries. Galdi’s production floor is the temple of stainless steel. 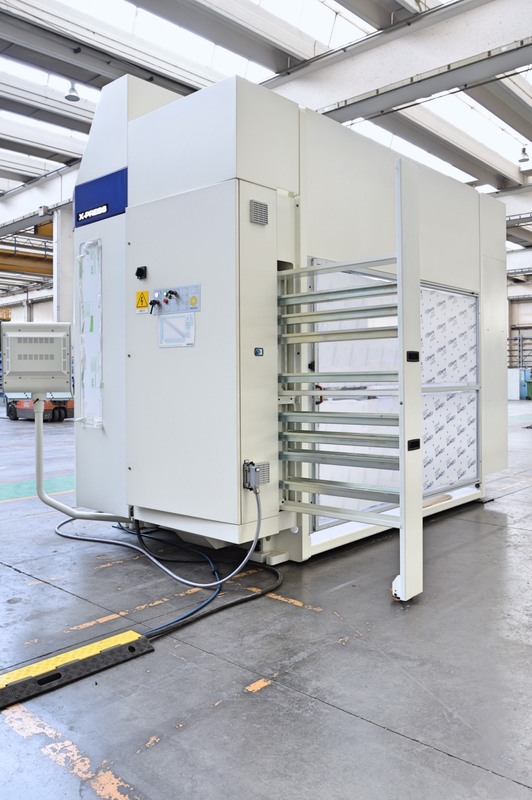 Their machinery is renowned and sought-after for their reliability: an essential characteristic in food packaging, an industry that cannot afford downtimes. 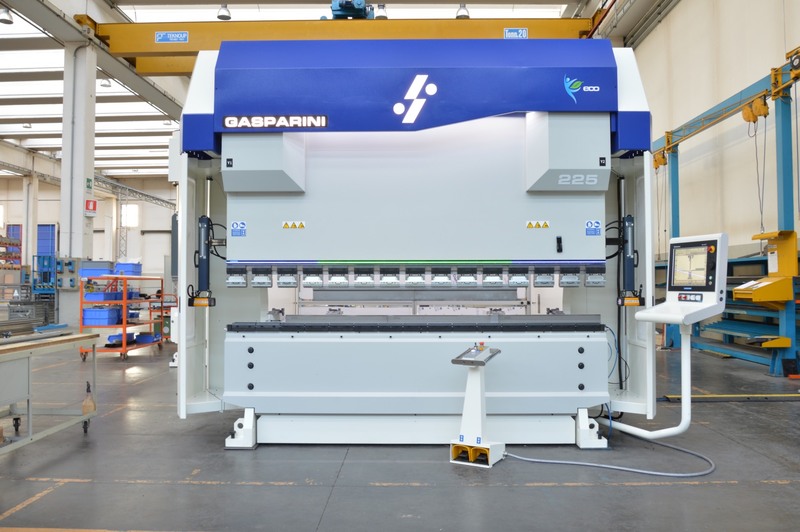 This quality-, precision-, and reliability-oriented company mindset led Galdi to choose Gasparini for their new press brake. It’s a 225-ton, 3-meter X-Press Next, with a 500-mm daylight and a 300-mm stroke. The CNC is a Delem DA-69T mounted on a pivoting arm. 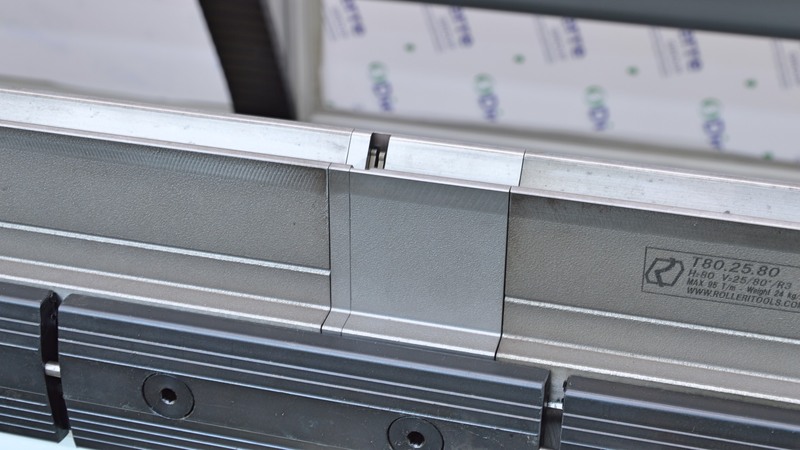 To guarantee angle accuracy and repeatability even with different lengths, we installed e-Reflex, the electronic compensation system for deflection of the uprights. The Gasparini Adaptive Crowning, directly measuring the ram deformation, allows to get constant angles along the entire profile length with no “canoe” effect. However, the real heart of this machine is the GPS4. This real-time control fights the high springback typical of stainless steels. Its sensor, placed inside the V-die, reads the bending angle. The CNC can therefore determine the correct ram position without any errors. The X-R-Z1-Z2-X6 CNC-controlled 5-axis backgauge allows the operator to work with several bending stations with the utmost flexibility, without the need to manually reposition the backstops. Two additional backstops further increase bending possibilities. 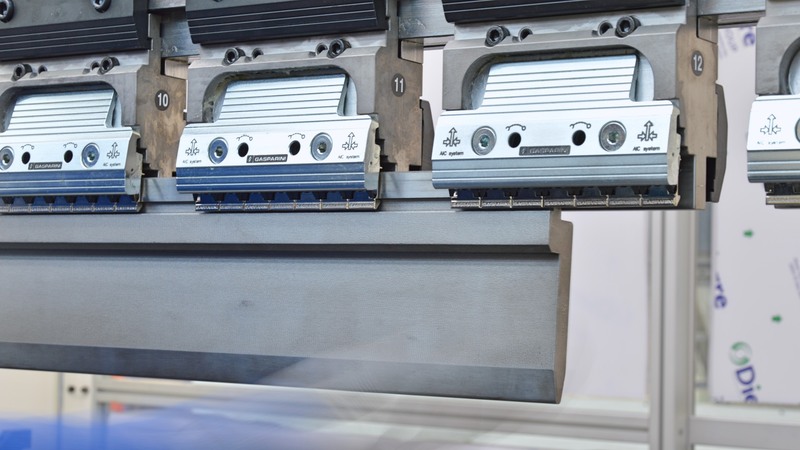 To make tooling easier, Galdi chose the revolutionary AirSlide pneumatic upper clamping. This tool holder system is easily placed in any arrangement, thanks to the absence of air piping. To keep tools at your fingertips, a useful tool rack has been fitted in the rear side of the machine. Colour LEDs in the Drive Bar assist the operator in the setup phase, according to the bending program.